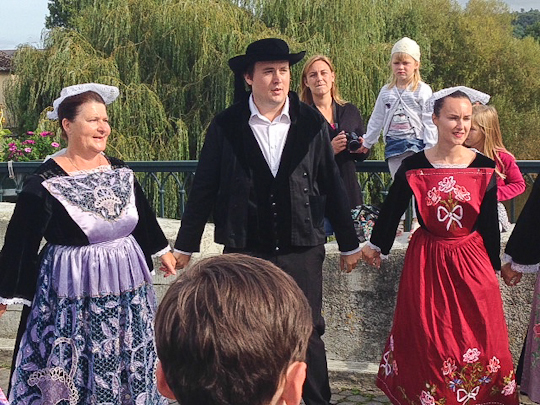 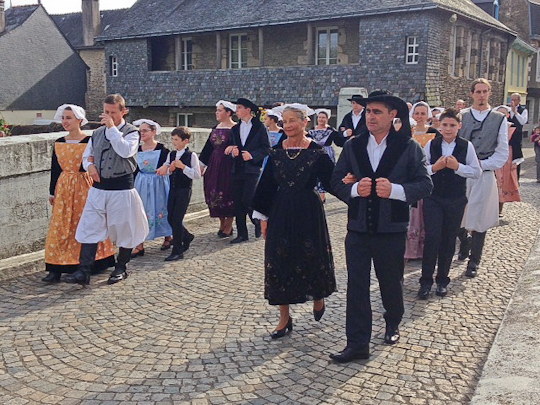 A Fest Noz, or night festival, is a traditional festival in Brittany, centered around dancing and music. 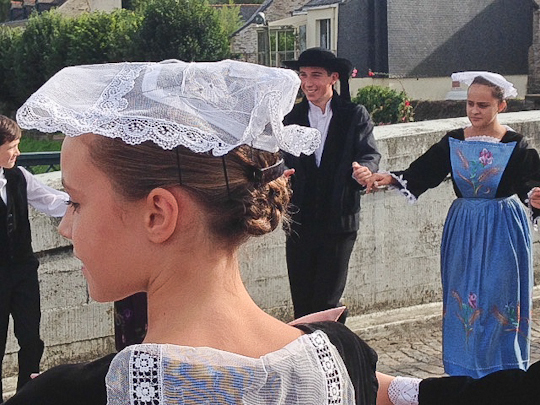 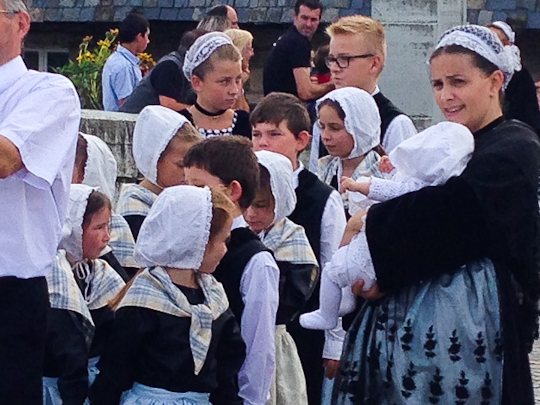 Just about every very town in Brittany holds its own festival, so especially if you’re visiting the region in the summer, it’s hard to find a single evening when there isn’t one somewhere within an hour’s drive. 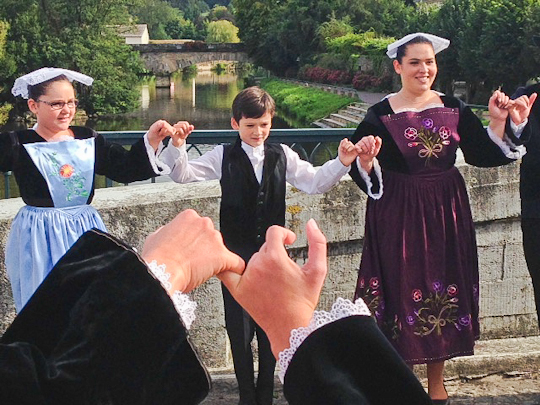 Here is a calendar of upcoming Fest Noz and Fest Deiz (daytime festivals). 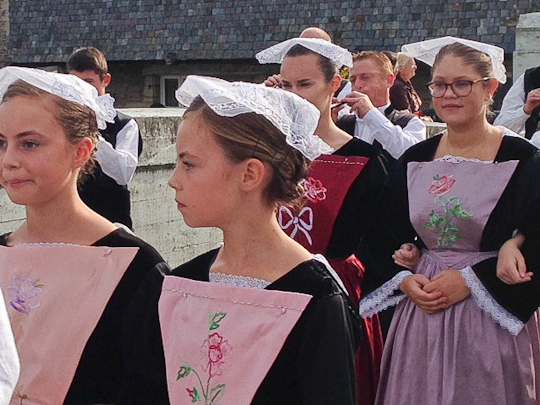 In late August, I happened upon the parade leading up to Malestroit’s Fest Noz. 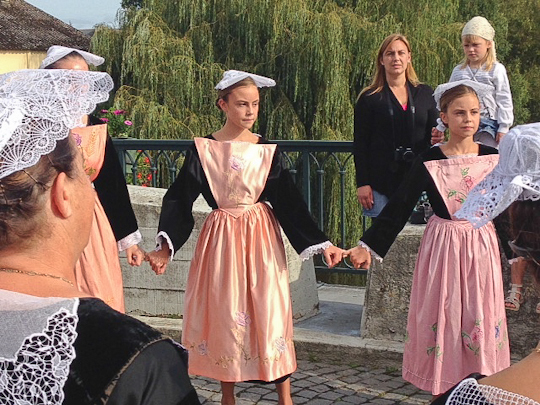 The photos tell the story better than I could! 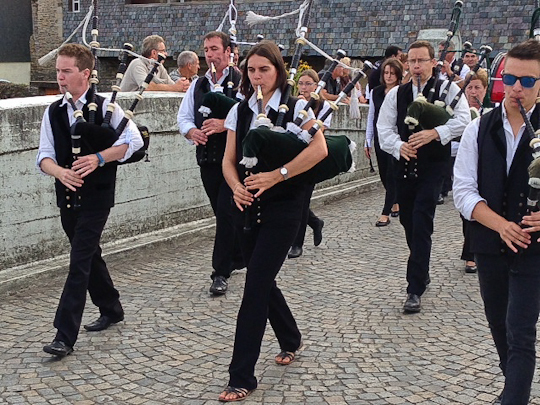 I will say the highlight was seeing the bagpipe troupe from my own town of Baden! 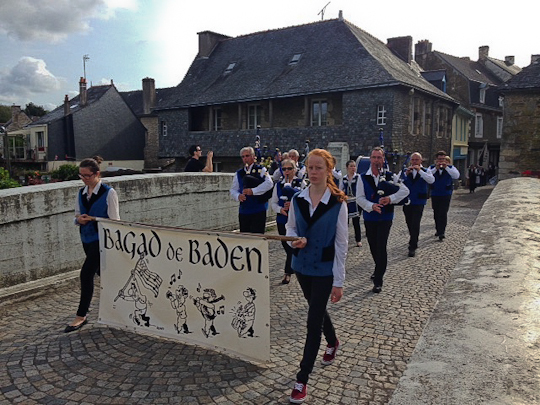 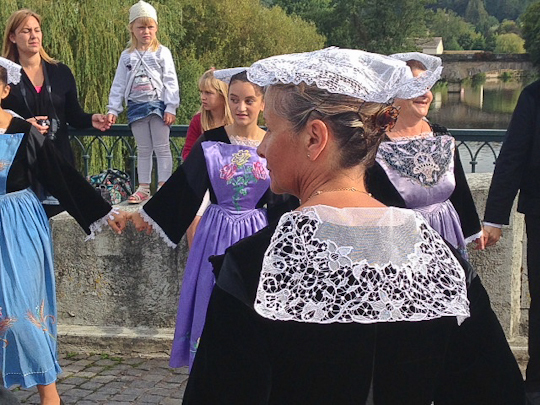 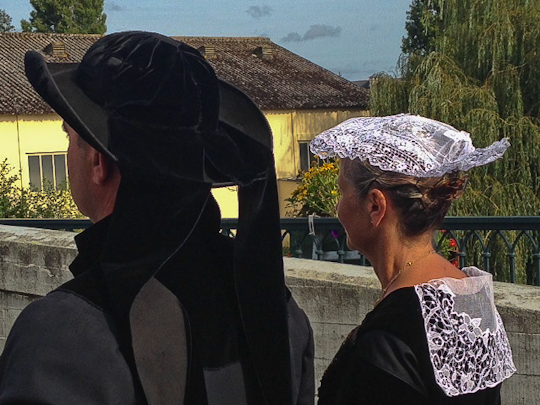 Or the binioù troupe, as I learned just today the Breton bagpipes are called–this little tidbit from my landlord, lifelong resident of Baden!